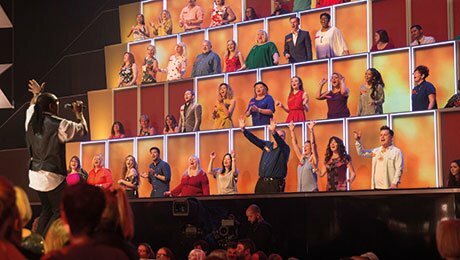 Brazilian broadcaster RecordTV has ordered a local version of Endemol Shine Group’s All Together Now. Brazil will be the third territory where the singing talent format has been adapted. The 9×60’ series will be produced by Endemol Shine Brazil. The show was created by Remarkable Television, part of Endemol Shine UK, and debuted on UK pubcaster BBC1 in January. It has since been commissioned for a second season and Endemol Shine Australia has recently been tasked with producing a version for Seven Network down under. All Together Now sees singers perform in front of an audience called The 100. If they like what they hear, The 100 can stand up and join in with the performance and the singer with the most supporters wins. Endemol Shine Brazil has produced local versions of formats such as MasterChef, The Wall and most recently Deal or No Deal after a seven-year break in the country.